for both domestic and commercial properties. Are you looking for Carpet Cleaning Hinckley ? Forest Lea are a carpet cleaning company based in Coalville, Leicester. We specialise in carpet and rug cleaning along with upholstery cleaning, mattress cleaning, curtain cleaning, office cleaning, school cleaning and communal area cleaning. At Forest Lea our experts use only the most effective products and procedures combined with the most up-to-date equipment to clean your upholstery and carpets. Only a professional steam clean can get your carpet and upholstery thoroughly clean. We do this by using a clean hot water extraction method that removes dirt, stains and dust mites (which are bad for your health especially asthma sufferers) accumulated deep in carpets and upholstery that a vacuum cannot remove. All of our carpet cleaning technicians are smart friendly and helpful. We don’t sub–contract the work out, all of our carpet cleaning technicians work for us full time. If you are looking for a professional carpet cleaning in Hinckley then Forest Lea should be your first point of call. Our carpet cleaning technicians will arrive on a time that is convenient to you, will make the whole process as easy as possible, and will ensure your carpets are cleaned professionally. 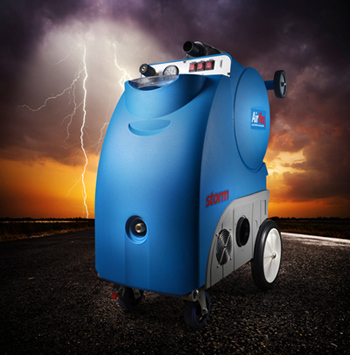 Our powerful new industrial strength carpet and upholstery cleaning system with super quick drying times. YOU WILL NOT BE DISAPPOINTED. Thank you Mark for doing a fantastic job, I can’t believe how dirty my carpet was and now it’s looking brand new. Will highly recommend you to family and friends. Thanks very much Mark for coming up trumps once again and cleaning my grandaughter’s lounge carpet and making it smell nice. I’d recommend you to anyone. You do a great job. Just used this service in my living room AMAZING recommend it to anyone. The stains that I thought would never come out are gone! In our carpet cleaning service we use detergent free solutions, which are completely safe to children and pets. We have vast experience in the cleaning of many types of fabric upholstery. Sofa cleaning, suite cleaning, couch cleaning, chair cleaning, leather or fabric. We offer a mattress cleaning service which will kill germs, remove harmful allergens, and hygienically sanitize a mattress. Why not try our rug cleaning service – we use specialist cleaning that brings it back to new, clean and fresh! We understand that your curtains represent an investment and need expert care when cleaning them, to ensure they are protected and to prolong the life of the fabric. Wether you require cleaning on a regular weekly or fortnightly basis, or simply a one-off blitz, we provide a professional and cost effective cleaning service.